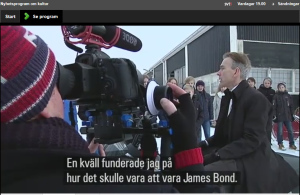 The crew filming James Bond movie James Bond Museum Nybro Sweden for the documentary The Other Fellow. 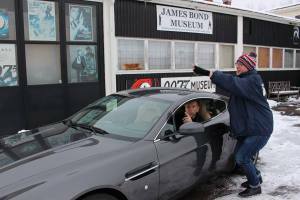 Been to James Bond 007 Museum? Share your experiences! The Other Fellow is a documentary movie about real men named James Bond, filmed during the release of Skyfall. 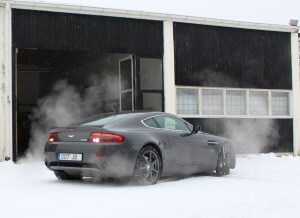 Discover what it’s like to be James Bond and live in the shadow of 007. James Bond, also known as Agent 007, is one of the world’s most successful literary and motion picture franchises, and has codified the spy fiction genre. The novels and films have been set at locations around the world, most of them available to visit. 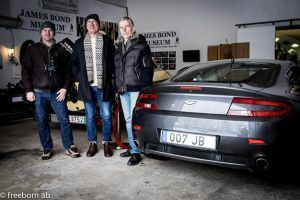 George Lazenby James Bond,James Bond Gunnar Schäfer from James Bond Museum Nybro Sweden An Exclusive Interview George Lazenby, who played James Bond 1969 ”On Her Majesty’s Secret Service” Interview with George Lazenby were held m Malmö 28/2 . Gunnar Bond James Shäfer (54) Åpnet museum av to grunner. En lidenskapelig interesse for James Bond – og et håp om å finne sin far. Sweden’s first gondola from Venice to James Bond Museum in Nybro world’s only James Bond museum has now grown again… For today arrived a gondola which is similar to the gondola that was used in the Bond filmern Moonraker.